Thunderstreaks.com – Website covering the (R)F-84F Thunderstreak / Thunderflash as well as airshow reports, base visits, aircraft museums and lots of aircraft-spotting pictures taken from the sixties to present days. Thunderstreaks.com is divided into 7 different chapters or “albums”. Each album is divided in a number of sub-chapters (“categories“) in which we give more detailed information. Each category holds in its turn a number of galleries. Our website is dedicated to what we refer to as our “Golden Years of Spotting”: the period between 1961 and 1979, when lots of time, effort and money was spent to see as many military aircraft as possible. 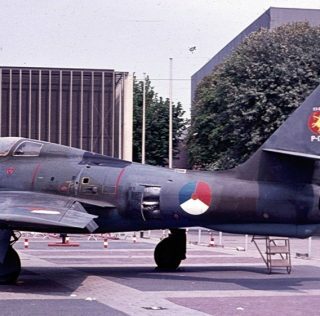 Our main station at the time was Eindhoven, an airbase of the Royal Netherlands Air Force that hosted a number of Thunderstreak – and later of NF-5 squadrons. No need to say that it was the Thunderstreak that inspired us to give the chosen name to this site. 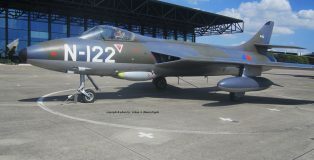 In the F-84F album we present a number of galleries, each dealing with the various users of this airplane. 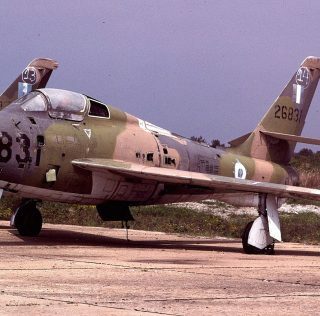 A second album is about the RF-84F Thunderflash, the reconnaissance variant of the Thunderstreak. 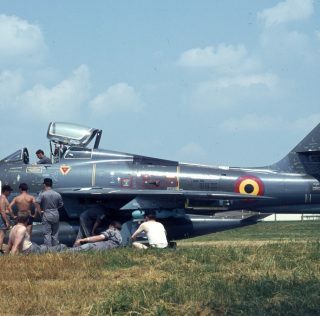 This aircraft served with many NATO air forces and we try to cover all of these with pictures out of our own slide/negative/official photo collections; each air force has its own gallery. The third album is dedicated to pictorial reviews of AIRSHOWS that we both or one of us visited in the mid- and late Sixties as well as in more recent years. We have split the Airshows-album in three categories/eras holding respective galleries. 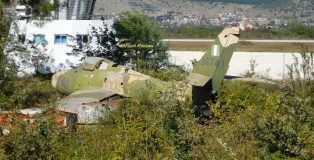 A seperate album is on PRESERVED AIRCRAFT: preserved in museums all over Europe, the USA and the rest of the world, but we also present a gallery on “exhibits“: airframes used in traveling exhibitions, roadshows and whatsoever. Also included in this album Preserved Aircraft is “Wrecks & Relics“: monuments, gate-guards and so on. 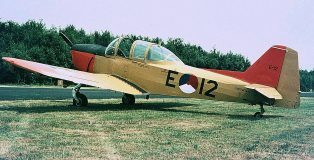 And the fourth is the category “Warbirds“, dealing with civil registered aircraft painted as military aircraft (what in most cases they once were). The fifth album is called SPOTTING and holds two categories and several galeries. One focuses on us as aircraft spotters (positioning ourselves on close-look near fences and runways outside the airfields) being not certain if there would be any flying-activities and the other one is an aircraft-spotters category with galeries consisting of pictures taken by us during special events , for example arrivals and departures for Open Days , squadron rotations and exercises , being certain that there would be enough aircraft to see flying in and out. The latter category is under long-term construction. KLu aircraft is an album under long-term construction; in 5 categories we will deal with the different types of aircraft that we have seen during or after the time while they were in service with the Royal Netherlands Air Force (KLu).. One of the intended five galleries (Light Aircraft) is ready, the other 4 await completion. The album BASE VISITS holds reports of visits that we made to various active air bases during normal operational flying days and NATO exercises , either one or both of us being present as photo-taking reporters. For more (background)information on us and our website simply click the “introduction“-button on the top right side of this homepage; this page also holds a short instruction on how to navigate this site. Enjoy! Please note that we try to update our site with new material regularly. The most recent update is shown in the left-upper tile on this homepage. 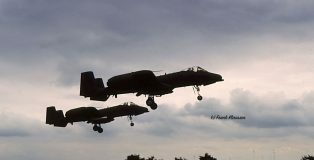 In the late 1960 and early 1970ties the Keiheuvel airshows (Keiheuvel is a dusty grass airstrip in the north of Belgium) were notorious among the Eindhoven spotters.